9 Interpretation of Tongues "For this reason anyone who speaks in a tongue should pray that he may interpret what he says. "-1 Cor 14:13) I started to pray in tongues that sounded like Tagalog (Filipino) at a Filipino Christian Worship Service called "Hear&Obey"
"http://www.exploringyouruniqueness.com/ This is an excerpt from the Exploring your Uniqueness series taught by Beth Arnurius and Russ Porcella. " Natural Gifts: What are your good at?-talents, skills, "God-given" gifts that He made you "special", unique, etc..
How to recognise and use Your Spiritual gifts! How to recognise and use Your Spiritual gifts! from lojjc on GodTube. How to Know and Release your Spiritual Gifts from lojjc on GodTube. "“A spiritual gift, quite simply, is a God-given ability for service,” said Dr. Charles C. Ryrie. In Dr. Paul Nyquist’s conference on spiritual gifts, he showed that every Christian has at least one spiritual gift (1 Peter 4:10; 1 Cor. 12:11). 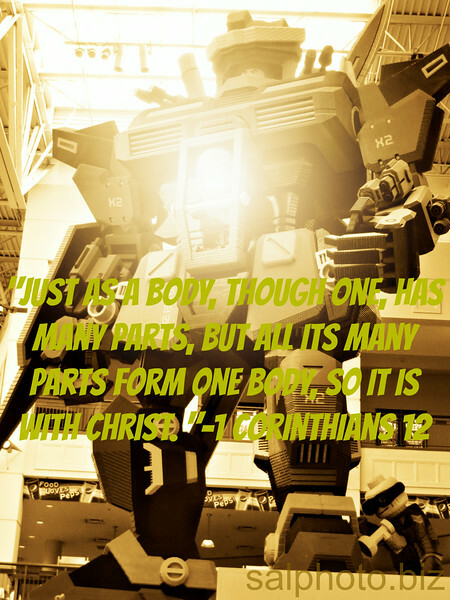 The gifts are given to build up the Body of Christ (1 Cor. 12:7; Eph. 4:12), and the purpose of these gifts is the edification of others, with a context of unity and love as the controlling attitude (1 Cor. 13). "..The purpose of the Gifts of Grace ministry and our Spiritual Fingerprint assessment is to equip believers in knowing who they are in Christ, by expressing the power of the Holy Spirit through serving in their spiritual fingerprint for the strengthening of someone else’s faith..."